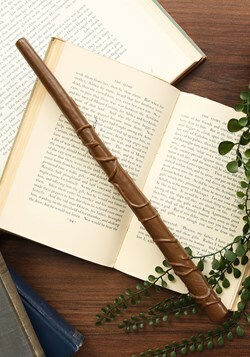 Do you know someone who knows all the spells from the Wizarding World by heart? 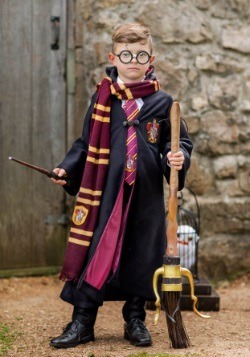 Has that person read the Harry Potter books again and again since the first time they opened The Sorcerer's Stone? Now, it's pretty awesome that they are such fans if you think about it. 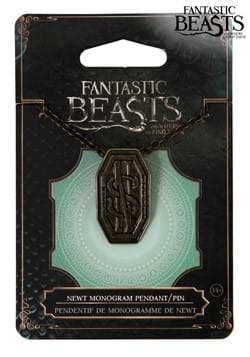 These people are ga-ga for anything that has to do with the Wizarding World so could it be any easier to pick out holiday or birthday gifts? And yes, maybe they already have t-shirts or they're already drinking out of a tumbler. 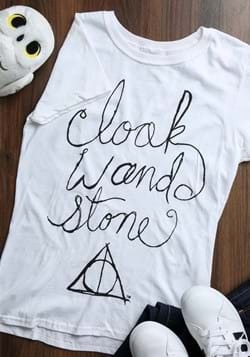 So when you're looking for something unique, think about giving your Harry Potter fan something shiny that will look wonderful with a pleated skirt you might find on the grounds of Hogwarts. 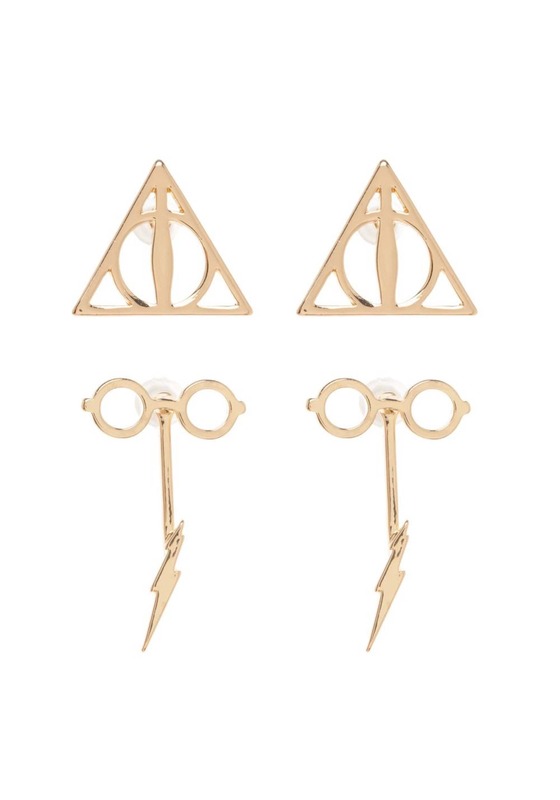 These pretty little gold-colored earrings are just subtle enough to add a touch of glimmer to any bookworm's wardrobe. 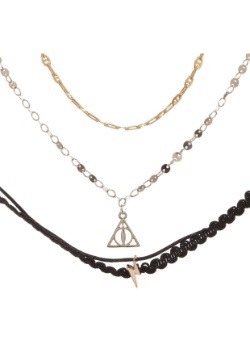 One set represents the Deathly Hollows symbol while the other set hangs lower with Harry Potter's glasses, wand, and lightning bolt scar. Those who notice the earrings will appreciate the shout out but they're subtle enough that your fan friend can wear them anywhere. 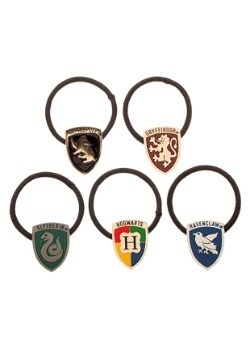 When you receive Harry Potter accessories by mail it might have come in a vehicle but the magic of the symbol makes one think that they could have come by owl. 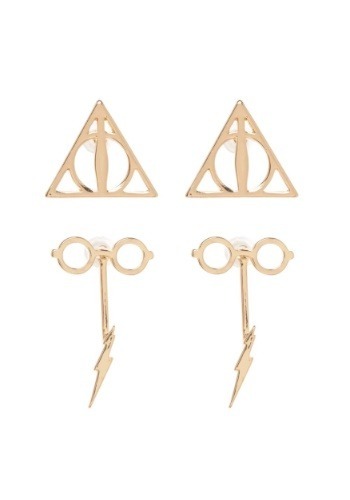 So, whether these earrings are for you, a friend, or you're buying a set for both you and a friend, you're sure to love having magical accessories at hand!